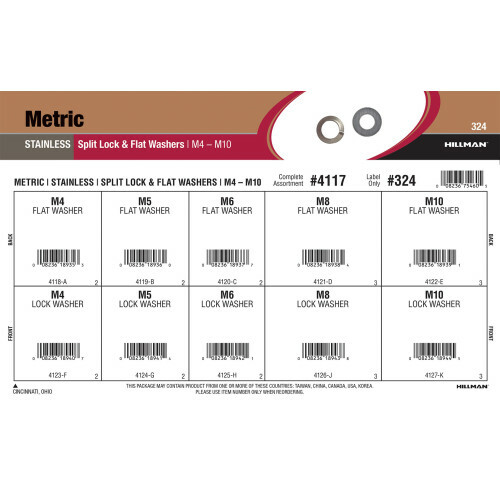 An assortment of stainless steel metric split lock & flat washer variants from The Hillman Group. Included variants range from 4mm to 10mm in screw size. Full assortment contains ten (10) refills comprised of Hillman item numbers #4118 - #4127.